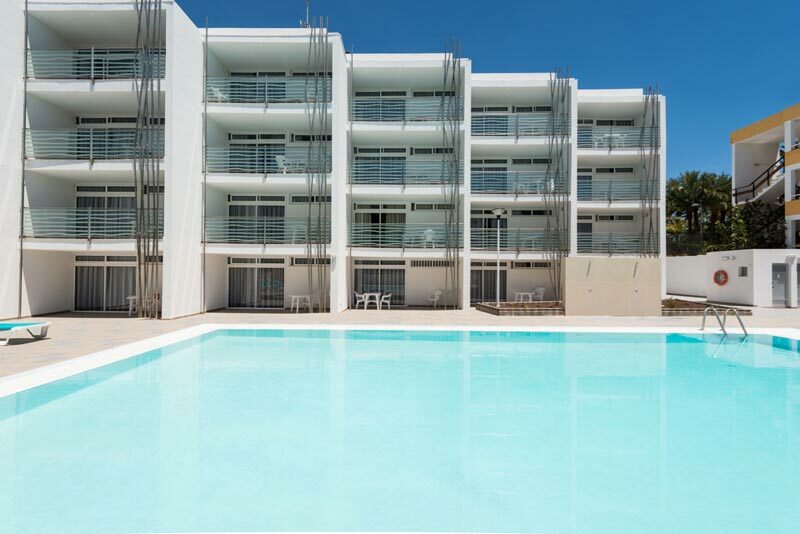 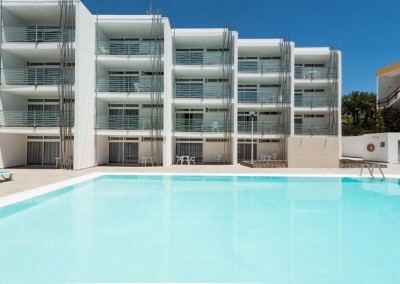 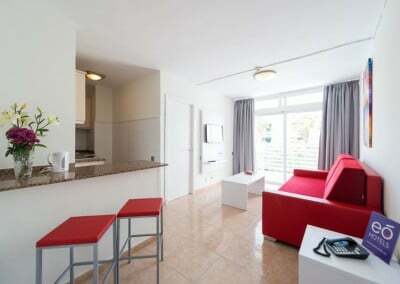 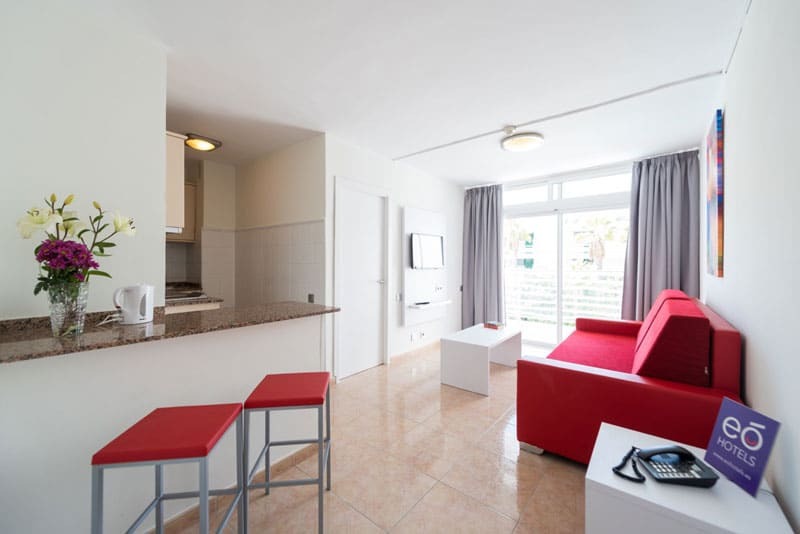 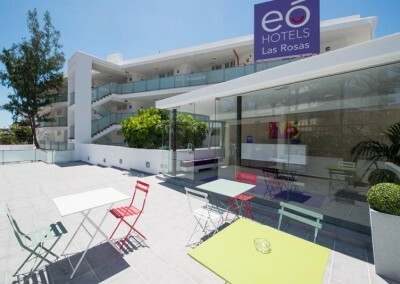 The Apartments eó Las Rosas are in the centre of Playa del Inglés, from 600 meters of the famous beach of the same name. 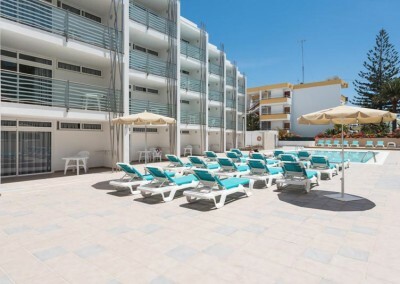 They have a wide solarium with swimming pool, private sun chairs, showers and toilets. 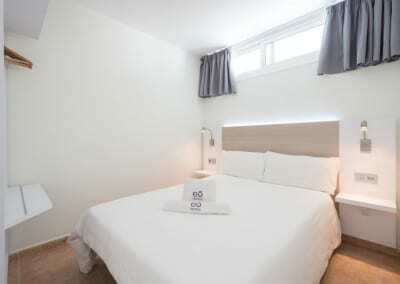 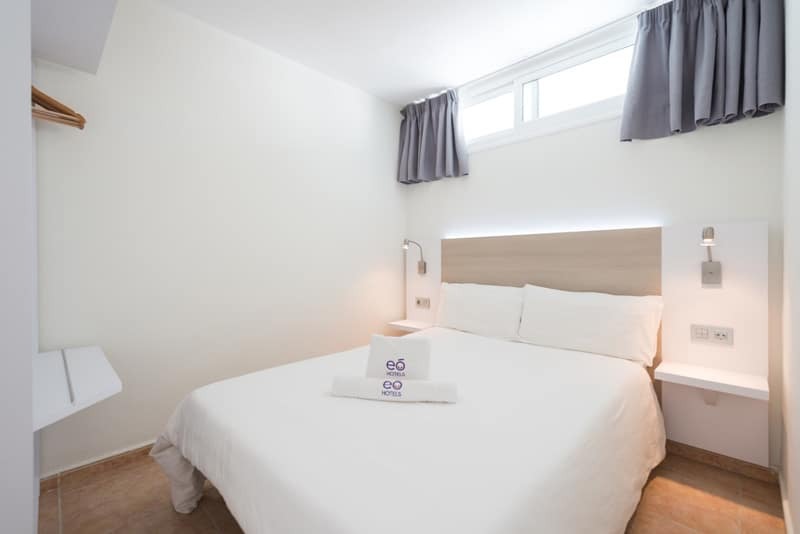 The luminous apartments have had a recent facelift and have a private balcony with a view to the swimming pool, a private bathroom and a lounge with sofa and Flat screen TV. 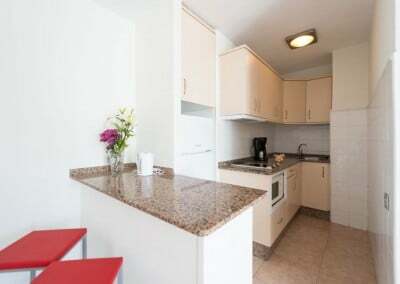 There is also a modern kitchen well equipped with icebox, microwave and coffee machine. 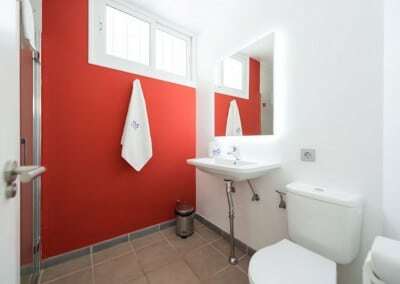 Towels and bed clothes are provided. 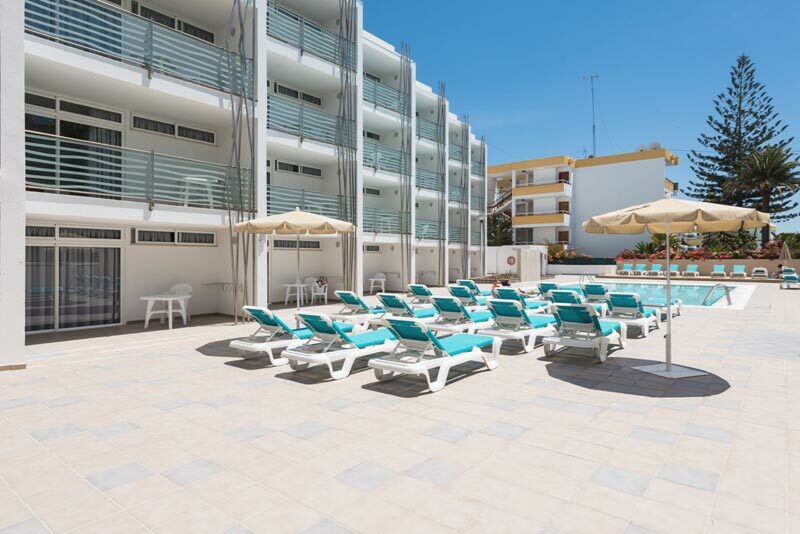 The accommodation is close to the mall La Sandía, with restaurants, supermarkets and bars and from 5 minutes walk away the animated Yumbo Centrum, full of shops, bars and discotheques. 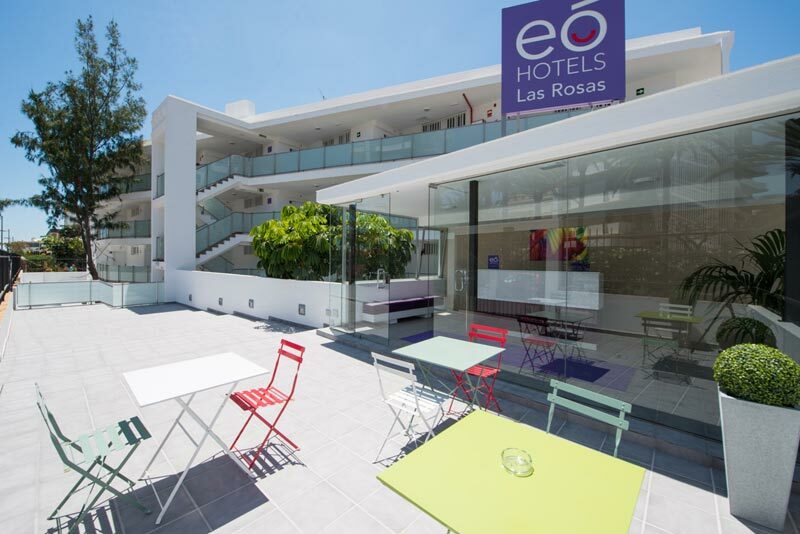 In the reception, we offer tourist informations and service of car rentals, free parking in the surrounding areas of the complex. 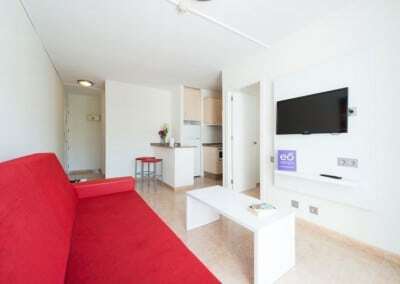 We provide a service of transport for the airport at a charge.